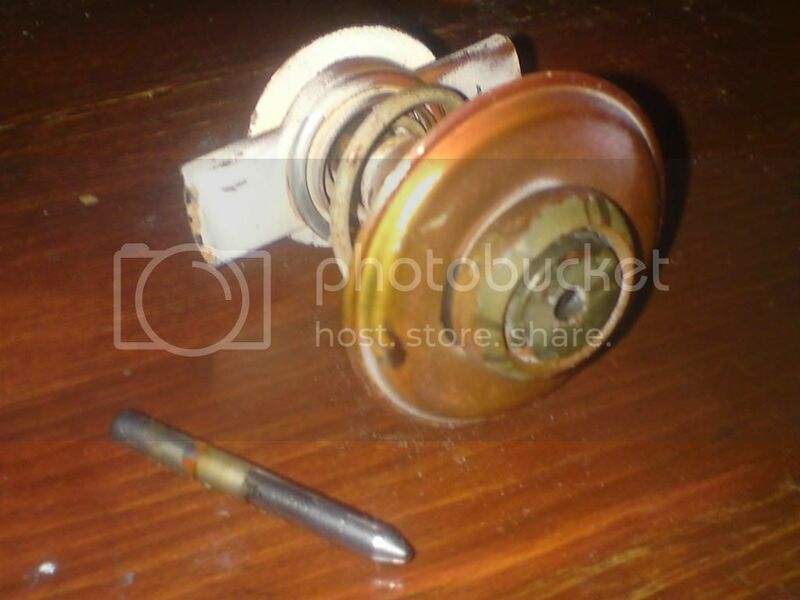 I ordered a thermostat from ebay supplier Revsonline. The part fits the Vectra C 1.8 so I ordered it, went to fit it only to find out it is different to the one I was replacing (no way of it fitting). so I had to put the old one back in. Anyone aware of a different style of thermostat (see pic, old one on the left with the new gold one on the right). You need to pull the pin out of the housing thats left from the old stat then the pin on top of the new stat goes in. I thought they were different too, but just used a pair of pliers to gently twist the pin out. It's not unusual for them to look different from alternative makers as long as it fits the housing it will be fine in service. AHA I see! I did give the pin a little tug but thought it was part of the housing. Excellent, i'll wait for the snow to clear and have another go. Cheers guys. P.S. I'll be using some instant gasket goo stuff instead of the rubber ring it comes with as that was hard work trying to put that back with that on! Yep same dimensions (according to visually looking at them), cheers. I used the old gasket, gave it a clean, then put instant gasket in the channel on the housing, then put the old flat rubber gasket in then more instant gasket on top. Here's a pic of my old stat, the new one was from the same seller you've linked, so definately is the correct one. Gotcha. Otherwise how the **** do you manage to keep the round band in the channel/shape of the housing without it pinging back into a round band again. I've already binned the old gasket, I try not to re-use gaskets on anything if possible (lesson learnt there then).